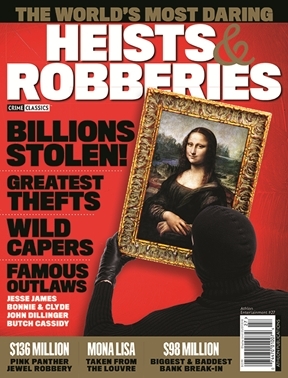 Anyone can walk into a bank with a gun and demand some money, but this special is about the biggest heists in history! These are the criminals that thought big, using helicopters, tunnels, bombs and brains to steal millions. From the mysterious D.B. Cooper, who leapt from an airplane with a cool $200,000 and was never caught, to “the billion dollar Baghdad bank burgle of 2003”, The World’s Most Daring Heists & Robberies will tell whodunit and how they did it.